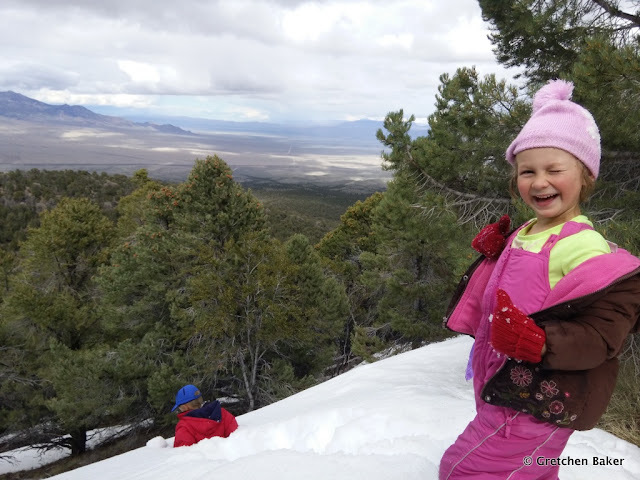 When we got to school the other day and Desert Girl saw snow on the car of the bus driver who lives 1,500 feet higher than we do, she immediately exclaimed, "After school, can we go skiing or sledding, Mama?" "Yes," I replied, delighted she wanted to be outside. And so after school we packed up and headed up the mountain. I wasn't sure what we would find, but when we got above 7,500 feet, it was still snowing. We wandered around Upper Lehman Campground a bit and found a lot of sticky snow on the picnic tables. Desert Girl was in full winter attire and ready to catch some snowflakes. This weather has been so crazy, but we sure do appreciate the moisture. It will be a great wildflower year, even if some of them are covered with a little snow right now. 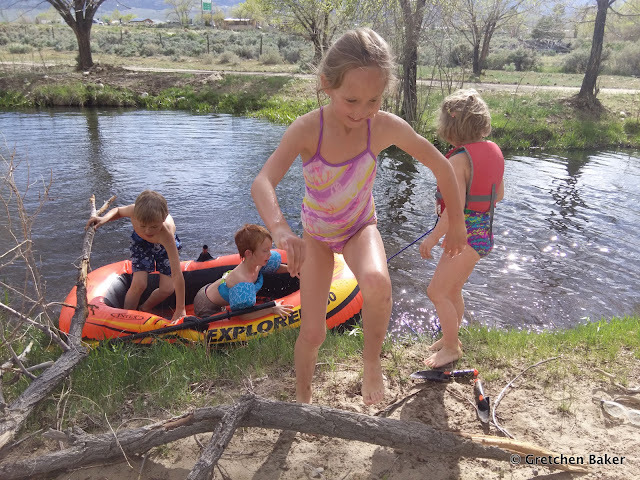 We had a few days in a row where it was getting in the upper 70s, so the kids asked if we could go to the swimming hole and invite some friends. I figured the water would be too cold to swim, but the sandy beach is a lot of fun. 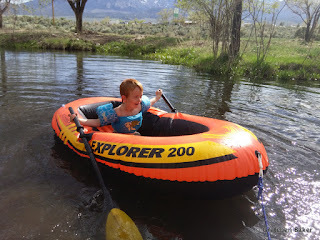 Plus we had a little boat they could practice rowing. The swimming hole is a settling pond for the ranch. 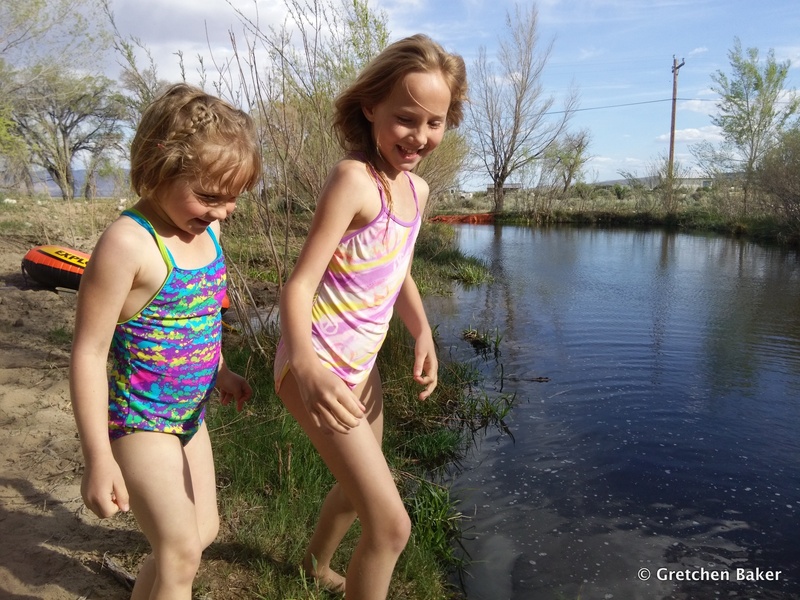 Stream water, running off the high mountains, slows down as it enters the pond, dropping first rocks, then gravel, then sand, and then silt. Then it goes down a grate, up a bubbler and through a screen to remove more materials, and then down a pipeline to the pivots more than a mile away. 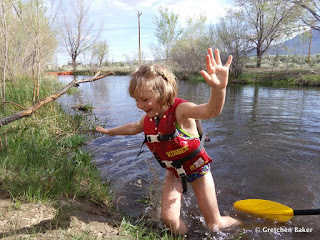 The settling pond also makes for great swimming, as there is a shallow part, where the stream starts slowing down, and a deep end, where it deposits the silt. The shallow part is usually quite pleasant with sand, but since it's before runoff and the pond gets dug out every year, it was silty everywhere. The kids didn't care. They couldn't wait to get wet! 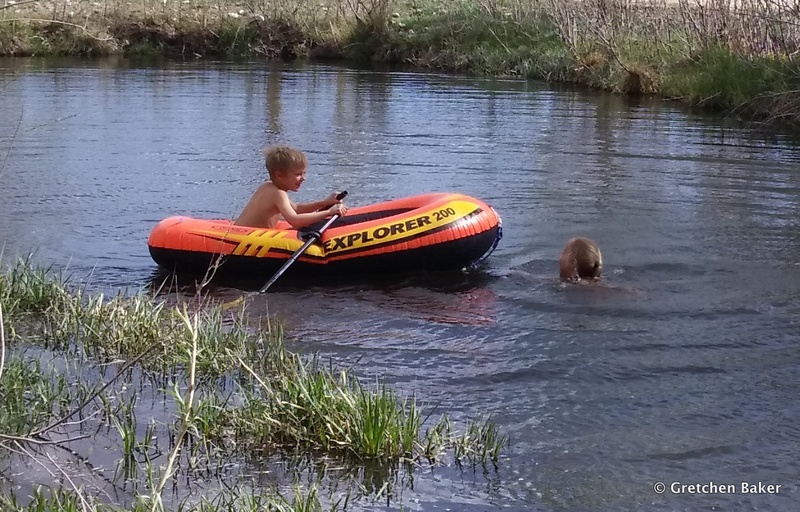 They took turns in the boat and swimming. 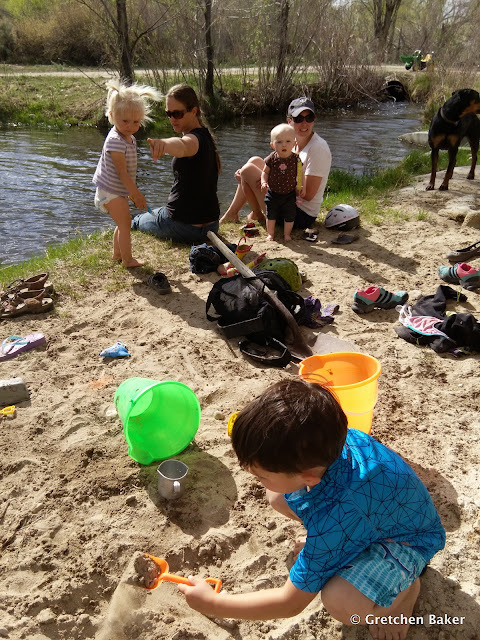 When they got cold, they came up on the beach and played in the warm sand. It was a nice day to be outside. I went into the water up to my knees and found that it wasn't as cold as I thought it would be. But it wasn't warm enough to make me want to swim! We played and talked a long time. 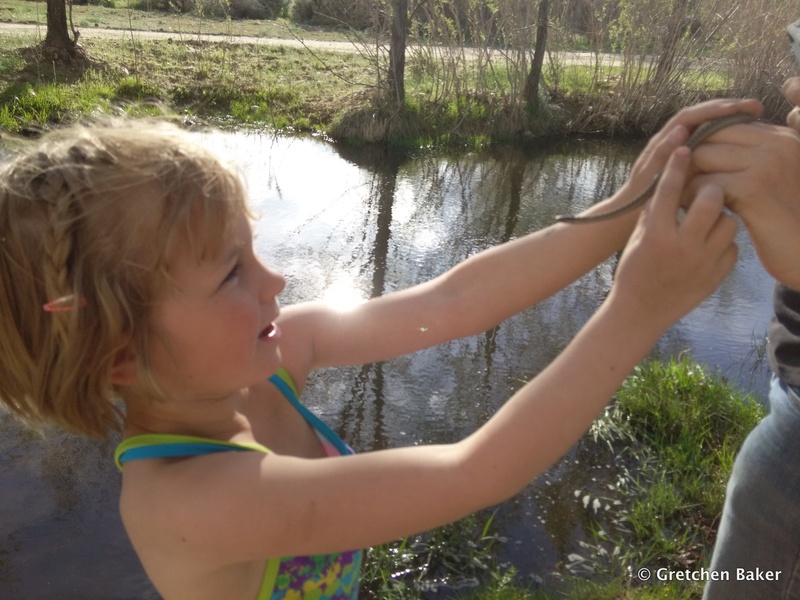 Then Jenny found a garter snake. Desert Girl couldn't wait to hold it. It was good we made the most of a beautiful day. It might snow tonight! The joys of spring. Two Sundays ago I had a last minute change of plans, so instead of a long drive I had some free time. 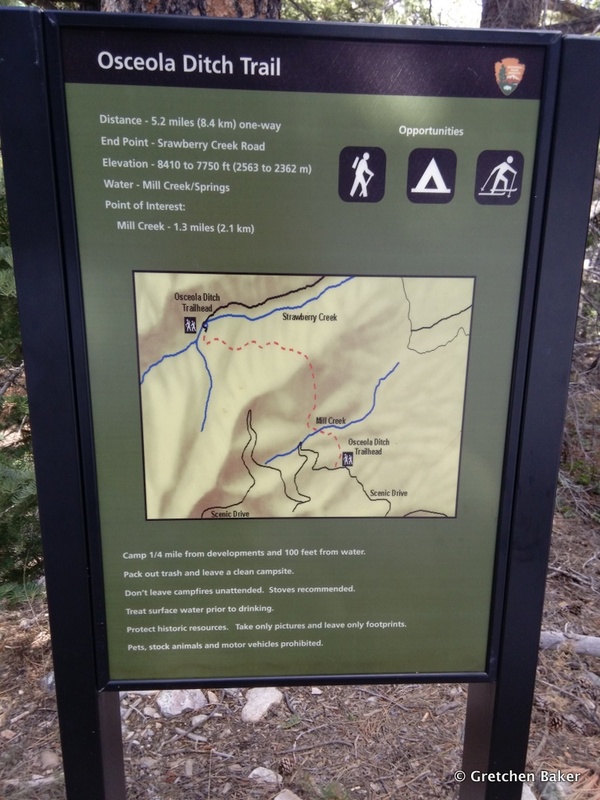 I decided I wanted a challenging but quick hike, so I went up to the South Fork Baker trailhead. My plan was to do the South Fork Baker-Timber Creek loop, which is about five miles long and gains maybe 1,500 feet elevation (that's a guess). I knew there would be a lot of snow up high, so I brought snowshoes and trekking poles with snow baskets. Then I set off at a fast pace. During the summer I can do the route in two hours. How long would it take with snow? The lower part of the trail was snow free, and I heard a variety of birds singing. As I climbed up to the big first meadow along the South Fork Baker trail, I encountered some snow patches, but nothing requiring snow shoes. The meadow was gorgeous. This view makes me think I'm in Yellowstone, and I expect to see a bear wander out of the trees. But there aren't any bears in Great Basin National Park, so if one did actually wander out, I'd probably fall over in shock. Beyond the meadow, the snow got noticeably thicker, sometimes a couple feet deep. I eventually got tired of postholing and put on the snow shoes. The texture of the snow near the next bridge was really cool. I guess you could say I was going at a good pace, but I stopped frequently to take photos. That's kind of my favorite way to travel--I don't want to rush through all the good stuff! The snow was melted out in places and I found several buttercups. 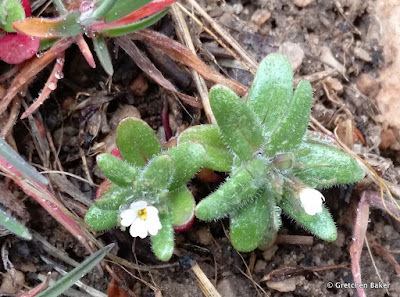 These little flowers come up right after snow melt. The big meadow at the top also had patchy snow cover. I took off the snow shoes. I saw mountain bluebirds and heard mountain chickadees. 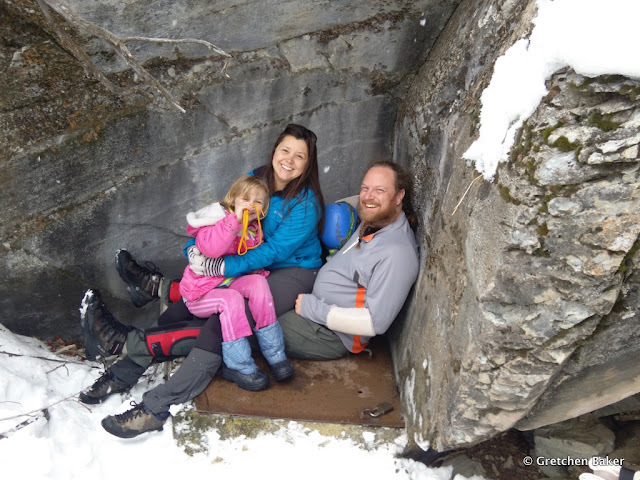 I took a few minutes to rest next to a big granite boulder by the trail. 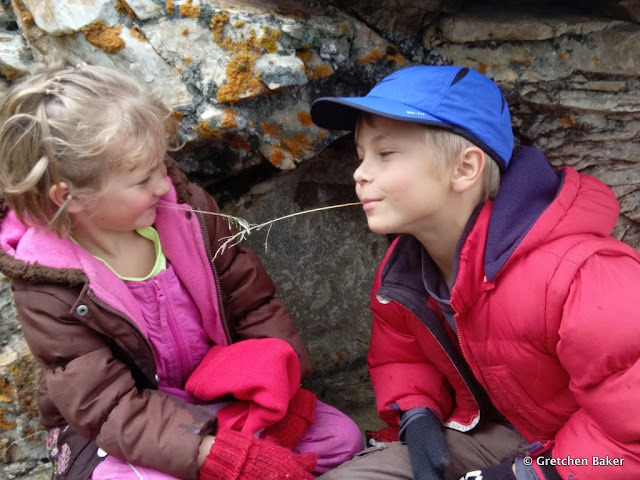 This is the same place we had our first family backpacking trip last summer, and it was fun to reminisce. Then it was time to head to the Timber Creek side, which I knew would be snowier. In fact, the trail totally disappeared! I put on the snowshoes again. Then it was time to go down. I loved the late afternoon light on the aspen trees, but quickly realized I had left the trail. This trail is steep even when you can follow it. I ended up in a mess of downfall and was crawling over logs. It was slow going. I was so happy when I found the trail again. 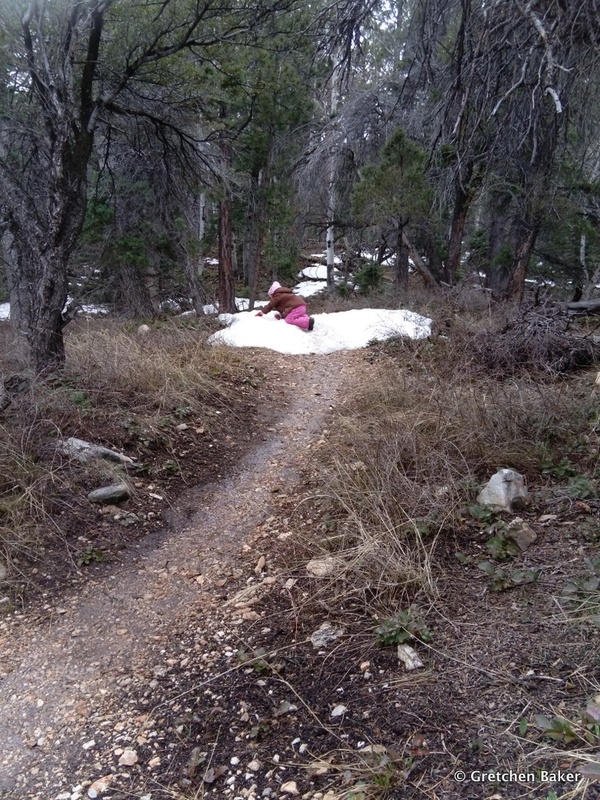 The lower part of the trail, up to the Pole Canyon turnoff, was mostly snow-free. It took just over three hours to do the route with the snow and getting a bit off-trail. It was fun doing it with some snow and seeing how different it looked. I look forward to doing it again when more flowers are blooming. 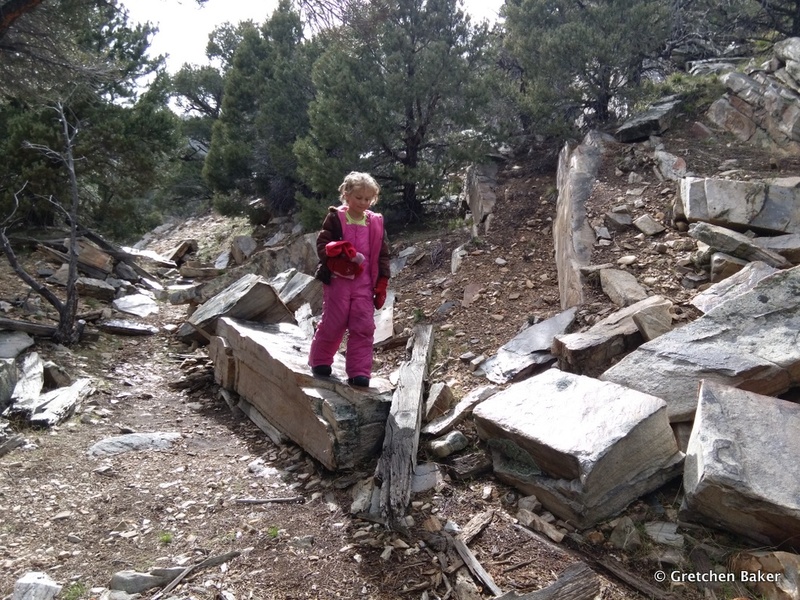 The Wheeler Peak Scenic Drive in Great Basin National Park recently opened to the Osceola Ditch, so I took the kids up one day to go hike the trail. I had mentioned the Osceola Ditch in my April Nevadagram post, and I wanted to see it again. 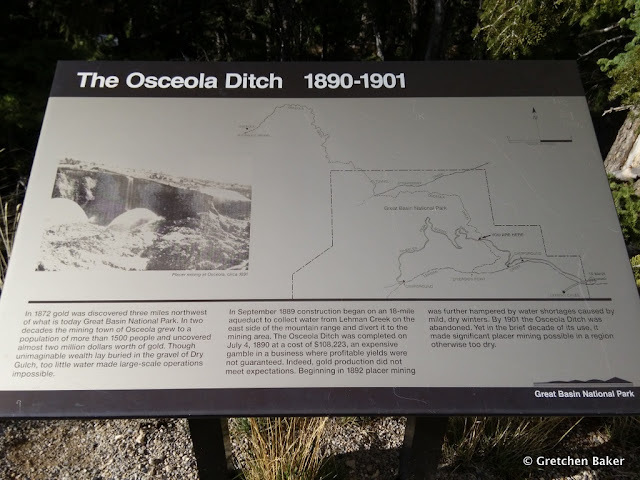 The ditch was built from in 1889-1890 and covered 18 miles, from Lehman Creek, around the mountain to Mill Creek, Strawberry Creek, Weaver Creek, and over to Osceola. The ditch had a slight downhill grade to keep the water moving in the desired direction. Wooden flumes were built over rocky sections, and a tunnel was blasted through a hill near Strawberry Creek. The ditch managed to get water to Osceola for gold mining operations, but it didn't last long. Mild, dry winters meant less water for the ditch in 1892, and by 1901 the Osceola Ditch was abandoned. Today it's a nice trail from the pull off on the Scenic Drive to Strawberry Creek. The hike is 5.2 miles one-way, but we planned to just go as far as we wanted (or as far as I could get the kids to go). I enticed the kids with the promise of a snowball fight. 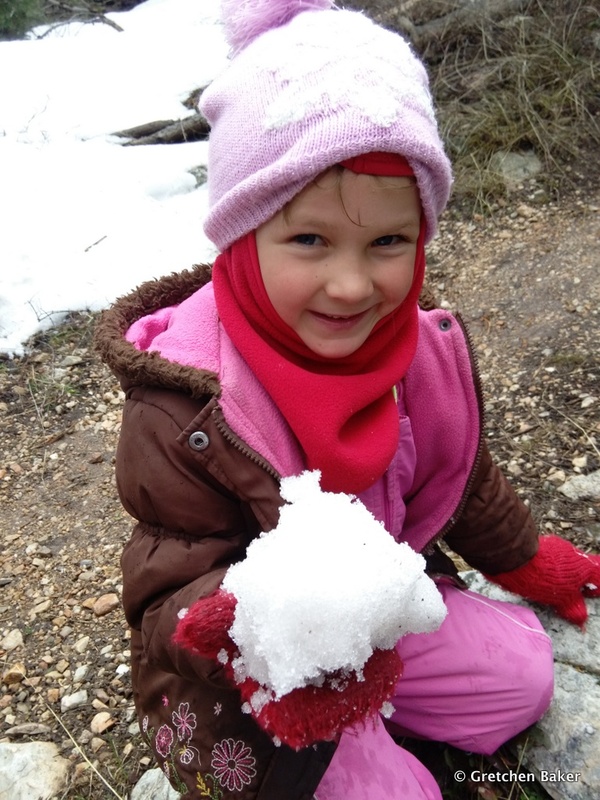 We found snow immediately, and the kids were delighted. I got pelted, but had fun returning some snowballs. Desert Girl also made a snow angel. After we hiked 1/3 mile from the trailhead, we met up with the ditch. 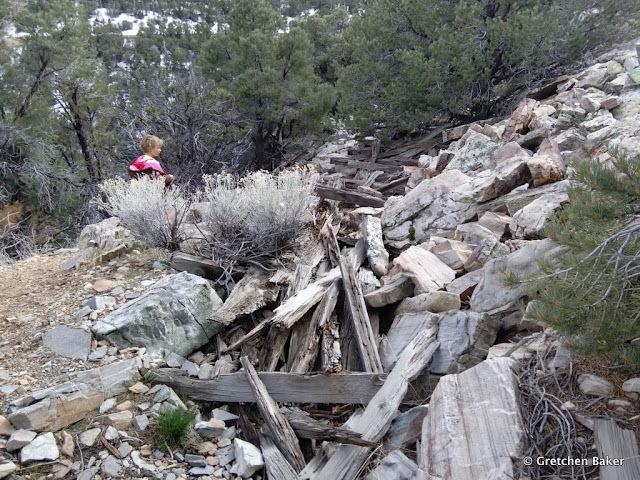 Most of the trail is easy, but Desert Girl wanted to take the hard way. If there's an obstacle, she's there. It's easy to imagine water running along the ditch. There are reports of miners fishing the ditch. 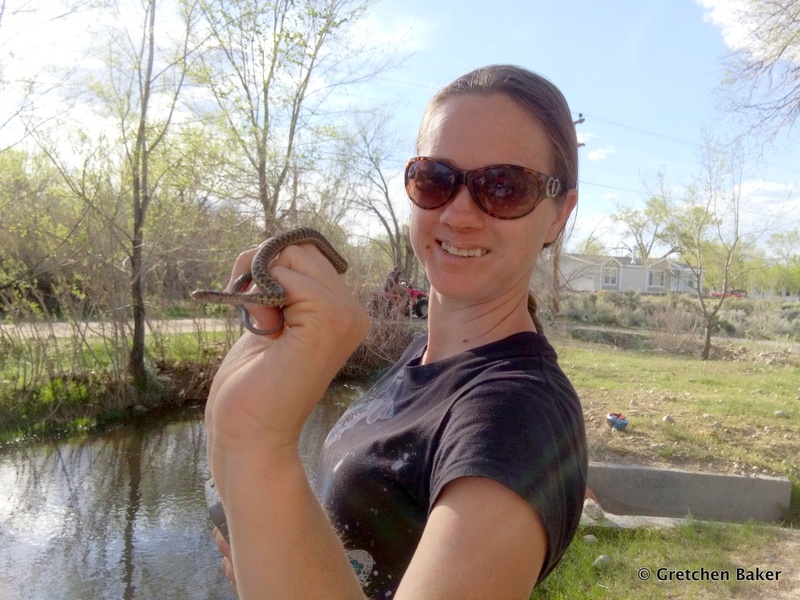 The ditch probably helped Bonneville cutthroat trout get from Lehman Creek into Mill Creek. 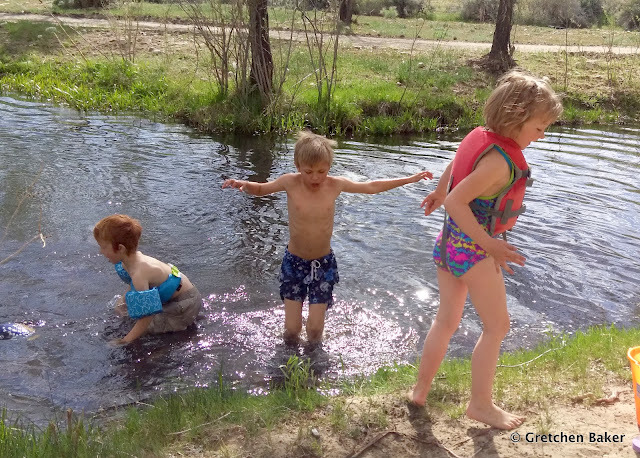 Decades later, Mill Creek served as a source population of Bonneville cutthroat trout for reintroductions into several other creeks. 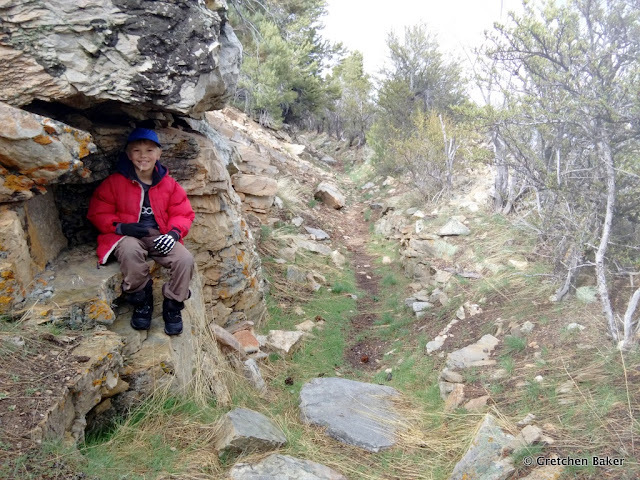 Desert Boy found a fun rock outcropping along the way. We took a time out for a grass fight. 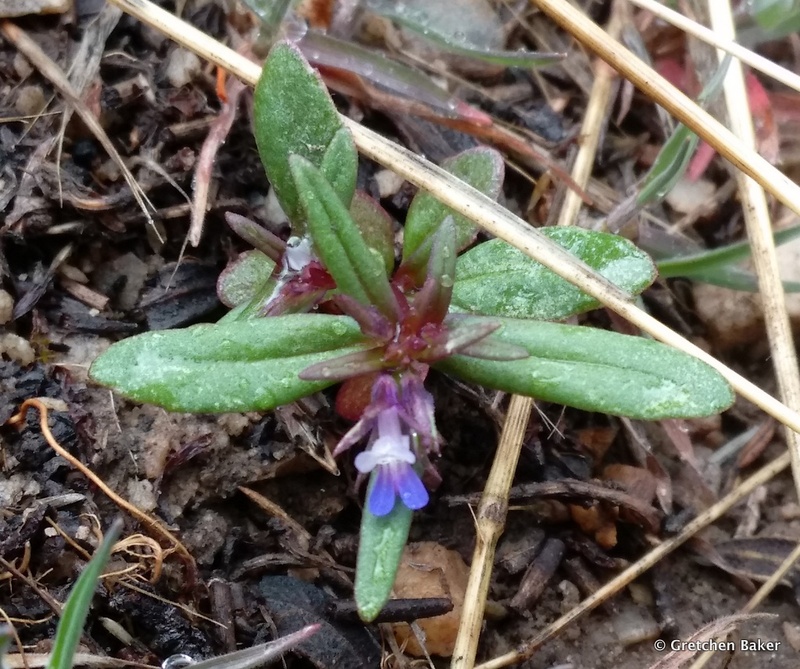 I also enjoyed the flowers, like this tiny Blue-eyed Mary (Collinsia parvifolia). 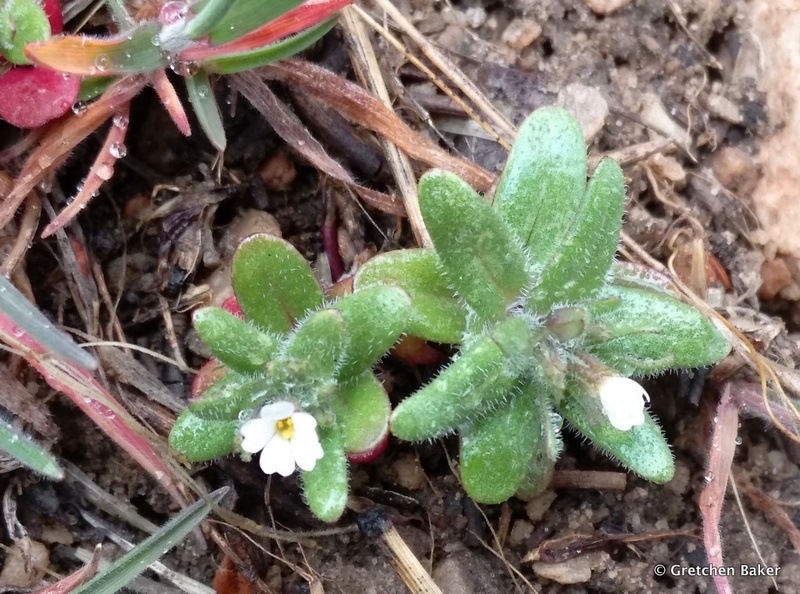 Nearby was its frequent companion, slender phlox (Microsteris gracilis). We kept hiking until we found snow blocking the way. 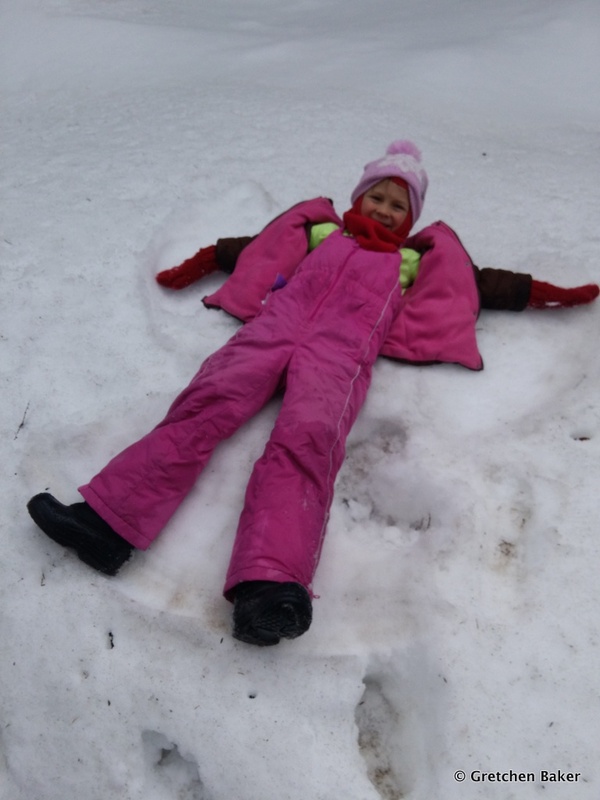 Then the kids spent an awesome 20 minutes playing in the snow. It was at least a couple feet deep and they loved jumping into it and then unburying themselves. On the way back we admired some of the wooden flume, now just pieces of wood. 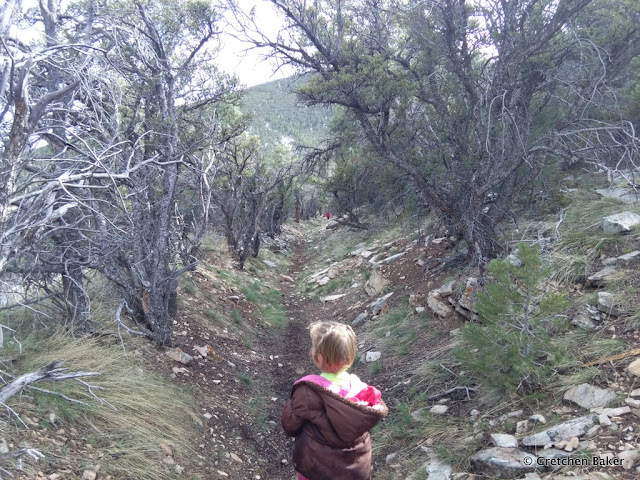 It's a great trail to hike. It's one of the few that isn't steep, so that really makes it stand out. The history behind it is also fascinating. If you get far enough, a road parallels (or is on top of) the ditch, making the hiking even easier. Large snowdrifts often persist into early June. 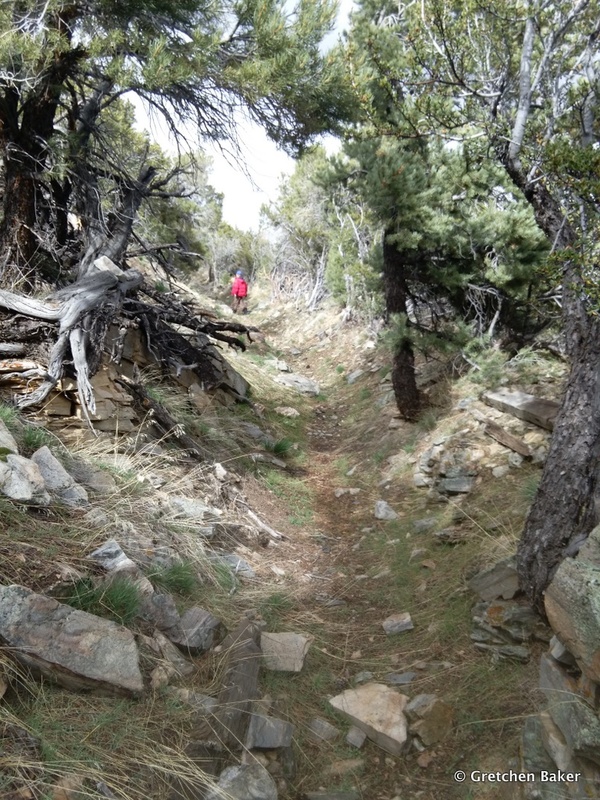 I'm thinking I will return to this trail later in the summer and see how it works for a trail run. You might also want to watch the Behind the Scenes footage, which shows what a champ the cave photographer was. He was first into the cave and totally cool about it. If you watch Rock the Park, what parks are you inspired to visit? It is with great sadness that I say that yesterday we had our sweet dog Henry put down. He was full of cancer and each day was having a much harder time. He's been such a part of our lives the last eight years. It's going to be difficult not to see him when I wake up in the morning or come home or go for a run or eat the scraps after dinner or go for an adventure walk. We will miss him a lot. I wanted to remember the good times with him, so I started going through photos, pulling the older ones from my blog and the newer ones from my computer (some have also been on the blog). 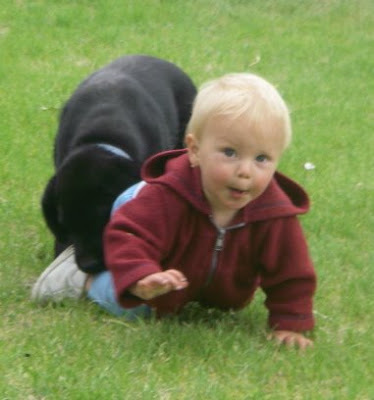 We got Henry when Desert Boy was one year old; we wanted them to be buddies. And they sure were. Henry helped Desert Boy walk a little faster so that he wouldn't get caught. 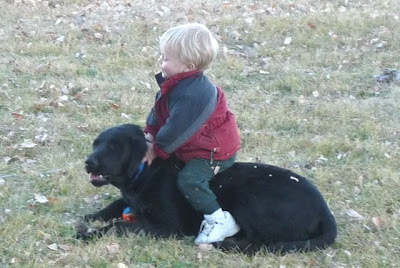 Desert Boy tried to ride Henry. That never went too well. Desert Boy fed Henry his dog food a lot during the years. 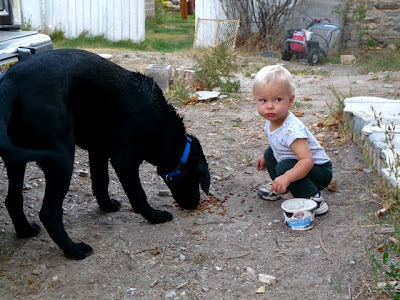 Desert Boy also fed himself the dog food. We had a lot of apricots one summer, but they kept disappearing. It took me a while to realize that both Desert Boy and Henry were eating them. Henry always loved to chase the cows. But sometimes he would be calm enough to have a moment with them. As a black lab, Henry loved the water. He was in it a lot. It didn't matter if the water was ice cold, he still enjoyed it. Along came Desert Girl, and Henry helped protect her too. Henry was part of the family, ready to be in the family photos. As he grew bigger, we built him a bigger dog house. We honored Henry by making a new dinosaur and christening it Henryosaurus. 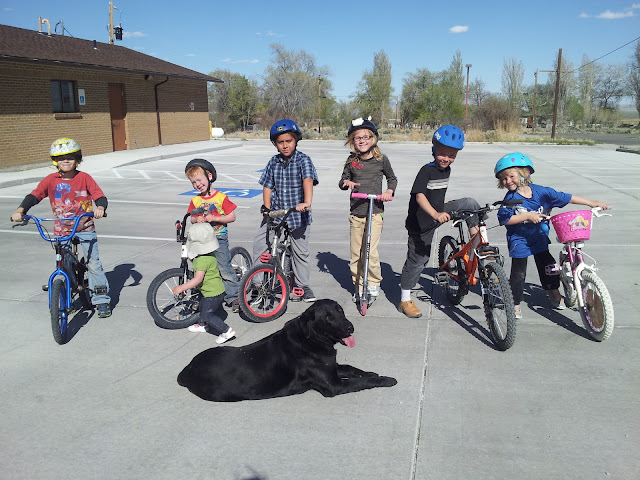 Henry like to be with us for bike rides. I think he would have liked to have gone on the school bus when the kids headed off to school. Henry was an outside dog, and he loved nature. Here he checks out a little snake. 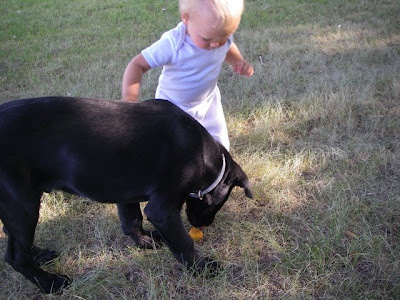 And although he loved to chase rabbits, when he encountered this baby one, he just sniffed at it. Henry came on walks with us all the time (photo credit: Peter and Sarah Schenk). 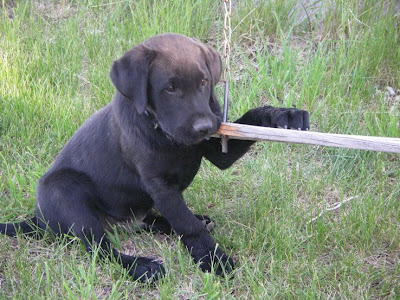 He loved swimming and fetching sticks. And although he wasn't so fond of work, he went along for the company. 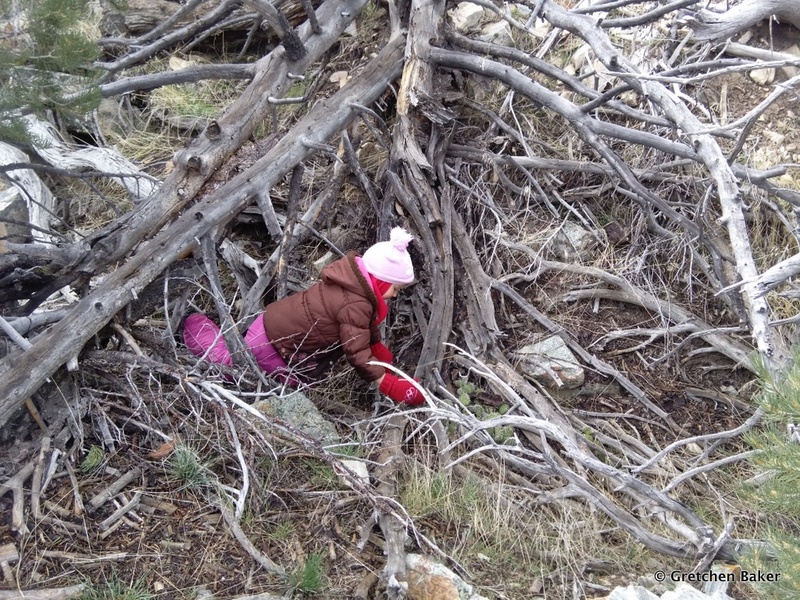 Henry went hiking with us high in the mountains, delighted when we found patches of snow. He summited several peaks, including Mount Moriah and the North Schell Peak. He sure saw some spectacular scenery. He also went into slot canyons. He came on numerous camping trips and when I would get up in the morning to take photos, he came along. Here he is stretching out on Ibex. And he was part of my shadow selfie. For the last year, he hadn't been moving quite as well, but up until a couple months ago, he could still do a 3-mile run with me. 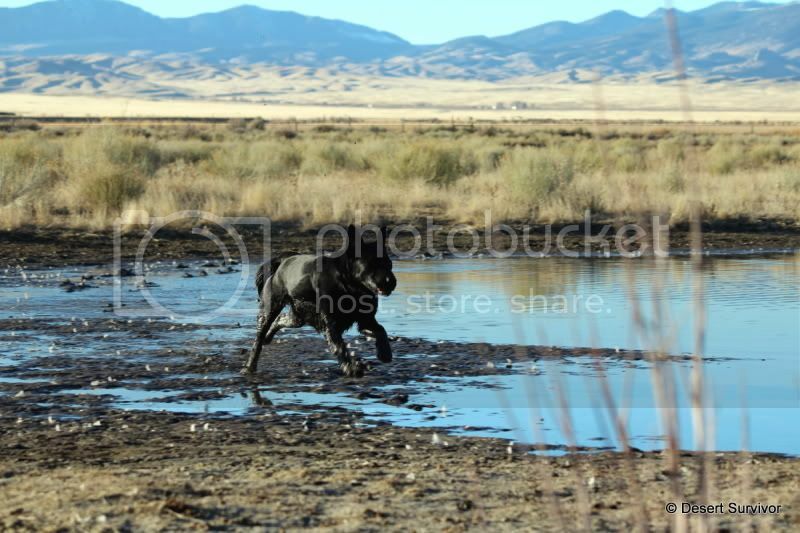 Except that he just ran three miles, whereas in the past he would run about double that as he sniffed in the sagebrush and made loops and played. He was such a loyal dog, always there for us. Last weekend we took him for his last hike. It wasn't easy for him, but we could tell he really enjoyed being outside and with his family. It's been a great run. You will be missed.